While iOS 8 didn’t have the visual overhaul that iOS 7 brought just over a year ago, there were still a few substantial additions. Most of them were highlighted in our guide to iOS 8, but some are still wondering why they’re important. Family Sharing is a feature that has been mostly overlooked, but provides a lot of potential to those who enable it. 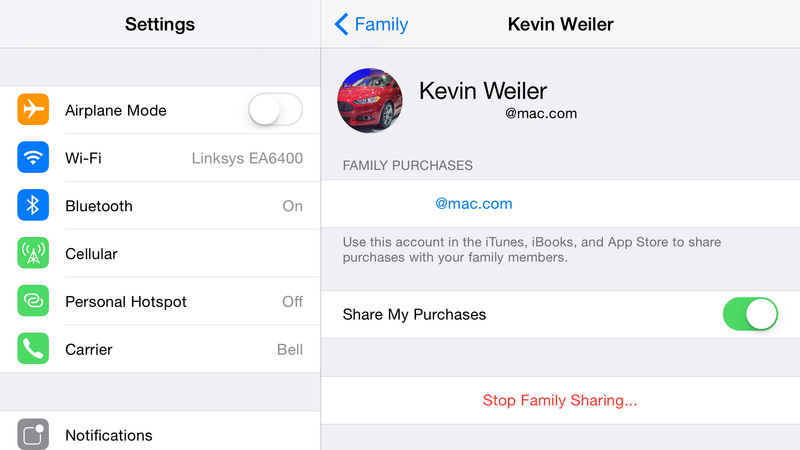 Family Sharing allows a main user to add up to 5 other Apple ID’s in their group. They don’t necessarily need to be real family members, although users can only join two different family groups per year. If you attempt to join a third, it will display a message saying you may rejoin a new group a year after you left the last one. This restriction was put in place to prevent users from solely joining groups to download content. Members must also be in the same country as the organizer. 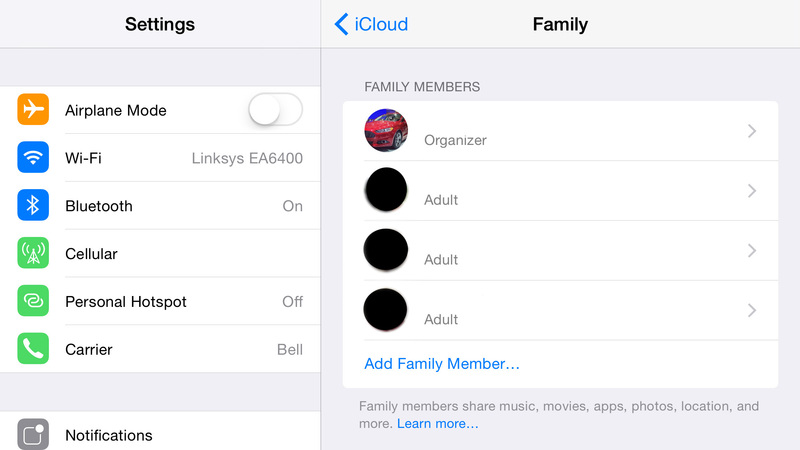 Family Sharing can be found in the Settings app under the iCloud category. It will be labelled as Set Up Family Sharing if you haven’t created or joined a group yet. This process uses your Apple ID, so any other devices you own under the same Apple ID will be automatically set up once this is completed. The main organizer will have a credit card attached to the group that others can use to buy content. Security is implemented by sending the organizer a message when one of the members attempts to make a purchase. Members are invited by using their Apple ID. Contacts will be displayed as letters are typed in the search field. Multiple users can be selected at once before the invites are sent out. Each recipient will receive a notification saying they have been invited to a family group. Their Apple ID will be activated and synced with the new content once it is accepted. This process can be done over Wi-Fi or cellular. 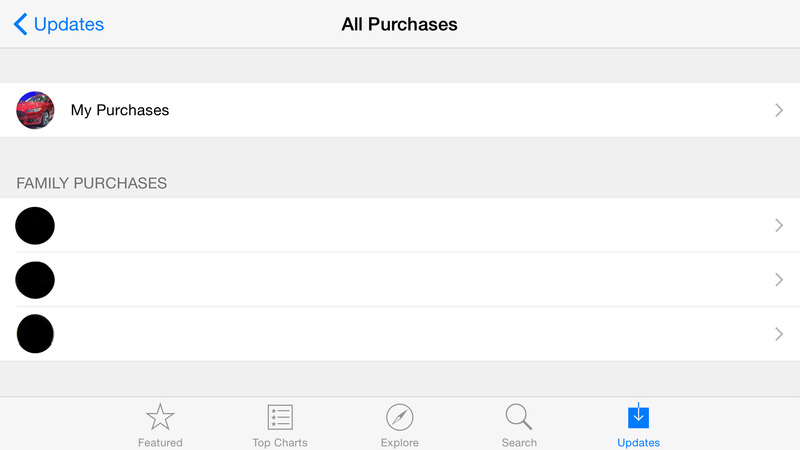 All members of the group will now share purchased iTunes content. This can be accessed in either the iTunes, AppStore, or iBooks apps under Purchased. A new list of all the members in the group will be displayed. Selecting a user will show all of their purchases. A search bar is located at the top to look for specific items. Once something is found, tap the cloud icon to download it. Any new purchases will instantly be available to other members in the group. In-app purchases cannot be shared as they are considered currency for most apps. Hopefully this will be changed in the future, since many apps use the in-app purchase model to unlock full functionality or offer new content within a game. Privacy is enabled for specific items that you do not wish to share. Content in the Purchased tab can be swiped to the left to reveal a Hide option. This can be undone via the Account Settings menu in iTunes on a computer. A shared Photo Stream will automatically be created inside the Photos app. Pictures and videos can be added to this album for everyone to view and like or comment. The Calendar app also generates a Family calendar that will sync events between members. The last feature is location tracking. This can be activated or disabled at any time and allows the location to be seen by other group members in the Find My iPhone and Find My Friends app, or on iCloud.com. 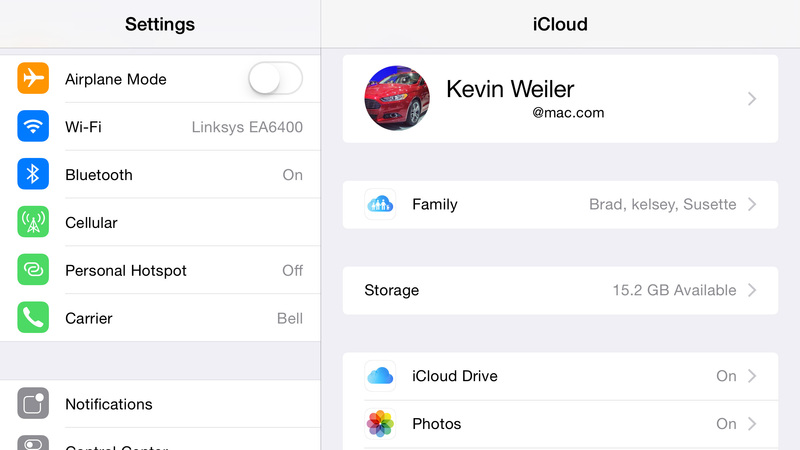 The full list of options can be found at the bottom of the iCloud section in the Settings app. Apple has taken a step in the right direction by offering a consolidated source for family members to share their purchases. Signing in and out of devices with an Apple ID to simply download content was becoming tedious. Purchases were already able to be shared through iTunes, and having the ability to do it now through iCloud is a valuable addition. For more on iOS 8, check out our full guide here.